The research speaks more to the unusual places our working lives have taken us before we came to write this book. Between us, we had worked in huge national museums and small, independent museums. For instance, Leonie spent formative years trying to bring the horrors of nineteenth-century surgery to life for the general public at The Old Operating Theatre Museum in London. The objects she had at hand to tell this story were difficult things – saws, knives, cold metal which – as she explained to visitors – came into contact with warm flesh. Fainting was not an uncommon visitor reaction. Sarah, on the other hand, has spent many years working at our largest and most famous museum, the British Museum and prior to that worked at Dulwich Picture Gallery. In both of these places, not only did she research a wide range of objects from across the world but also had to find the best ways to present these objects and their histories to the public. Several objects featured in the book are those which she would regularly use in discussion with visitors, such as Olowe of Ise carved palace doors. Before leaving the BM, she curated an exhibition about trade in the Indian Ocean which was a fantastic opportunity to look across the collections and display objects which illuminate cultural connections across oceanic space. For us, it was the writing together that was the exciting part. We hadn’t tried to co-write before but had a strong feeling we could work with each other well. Luckily we were right! A lot of academic writing is a lonely task, but for this project, we knew we were in it together. This was both comforting and challenging, in the sense that every time we wrote something we had an immediate audience ready to critique and encourage as needed. Whilst this is a little book, it encompasses some quite diverse material. 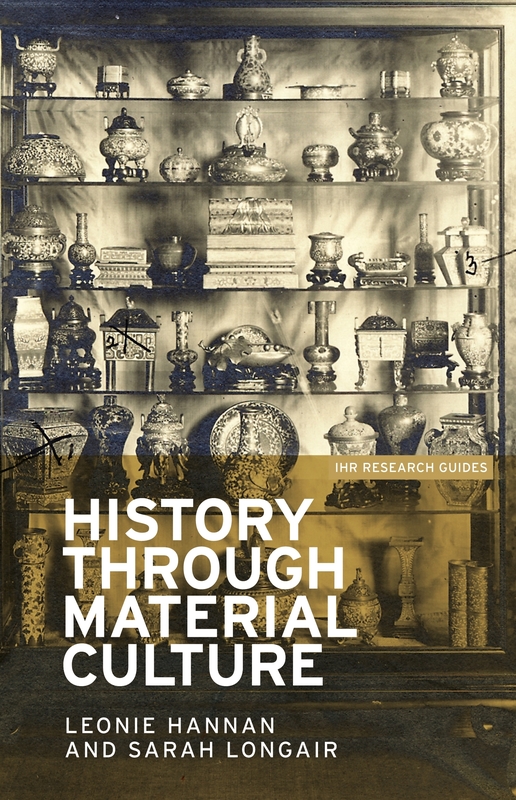 We were sure that we needed to include a good summary of the theoretical and historiographical field that shapes our study of material culture and yet, this mode of writing is set apart from the more practical ‘how to’ components of the book, which deal with aspects of research practice. We hope we have drawn the connections between these different sides of research clearly for the reader. To be honest, this tension mirrors what you find as you begin to research material culture. There is the pull of theoretical frameworks and of the body of historical work upon which you build, but there is simultaneously the material presentation before you – the object itself, with its own stories to tell – not necessarily the story you had in mind when you started out! We have both published books before, our own monographs and also edited collections. However, this was the first time we had attempted a research guide and it has been quite a different experience from previous ventures, it was a lot of fun! It is a strange feeling because the publication process is often quite a long one and by the time you see the book itself, it is many months after you finished the final edit of the text or wrote your acknowledgements, so you are often feeling a bit detached from it. But this sense of detachment is accompanied also by the thrill of seeing your name on the cover and your own words on the printed page. In this case we were approached by the Institute of Historical Research who had already decided to publish their series with MUP. We had both worked with MUP before (Sarah on an edited collection and Leonie on a monograph) and we have had a really good experience working on the book with the MUP team, the right balance of offering support without inhibiting our autonomy as authors. For both of us, this was quite a different project from previous publications, in that it was entirely co-written and it had to be accessible without compromising the challenging nature of some of its content. Much academic writing is written for a very niche audience who are familiar with the terms of the debate and it can often be a little off-putting to the student new to research. With this book we wanted to be sure that it could lead the reader step by step through the process and not lose them at any stage regardless of their background and previous experience of historical study. Both of us remain really excited about the possibilities of material culture for historical research and we both have projects on the go that respond to that theme. However, some of the most innovative work we have engaged with was through the 100 Hours project (www.ucl100hours.wordpress.com), which examined how we attend to material culture and experimented with object-focused research practice. We are excited about taking the findings of this project on in the future and continuing our methodological experiment – this will frame our research practice going forward and, we hope, bring new ideas to the table for people interested in this growing field of enquiry. 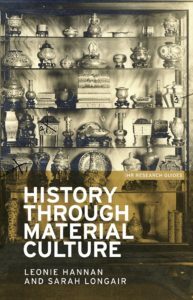 History through material culture is available now! Order your copy and read a sample chapter here. Category: Art History, Author Q&A, Blog, Design, History, material culture, Study Guides	0 Comments.